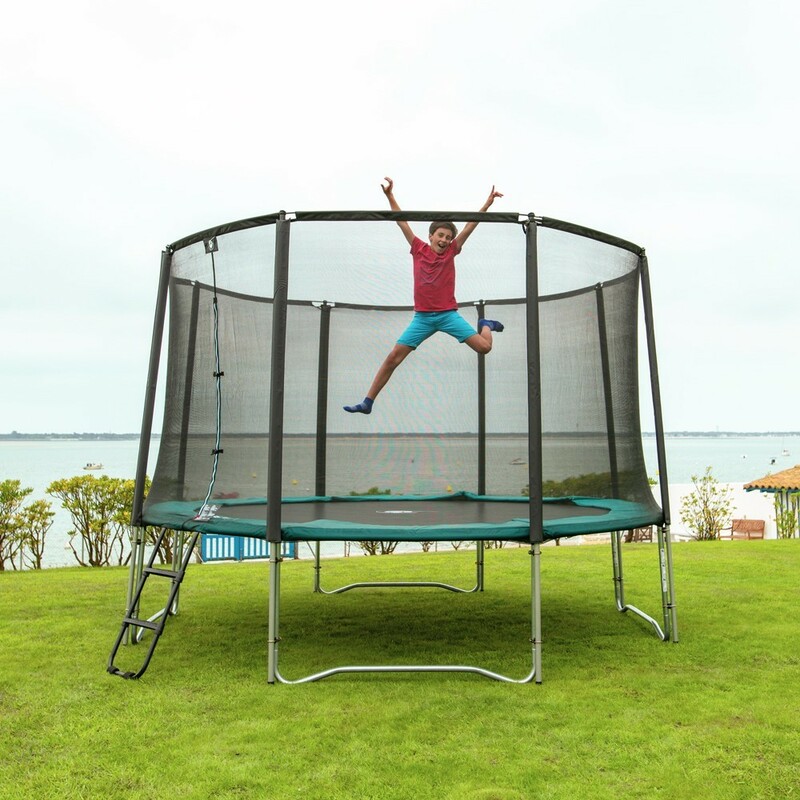 The Jump’Up 390 trampoline reunited in a pack with the essential safety accessories: a safety net, a ladder and an anchor kit. 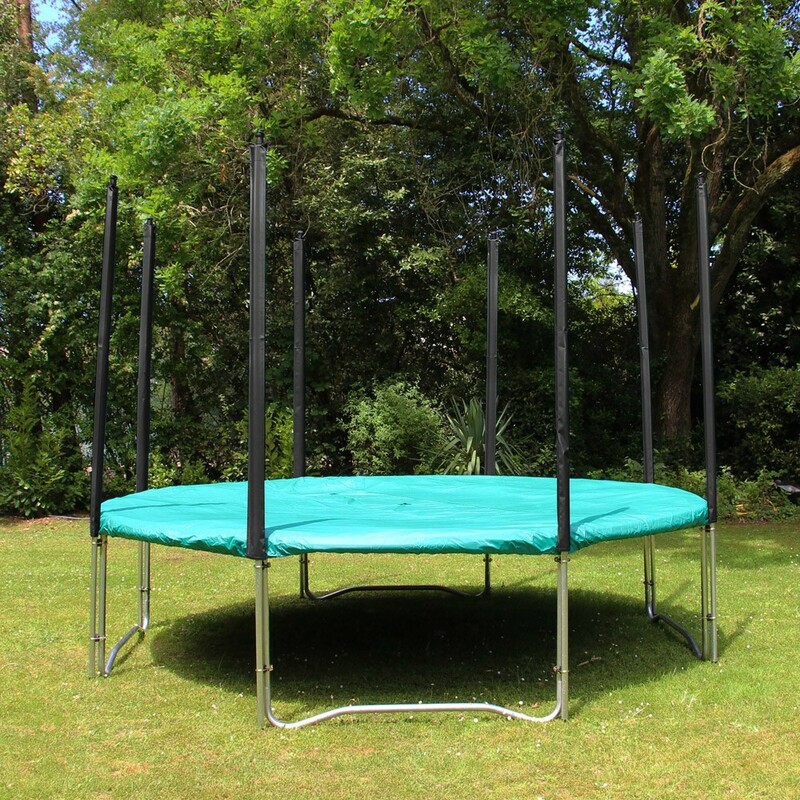 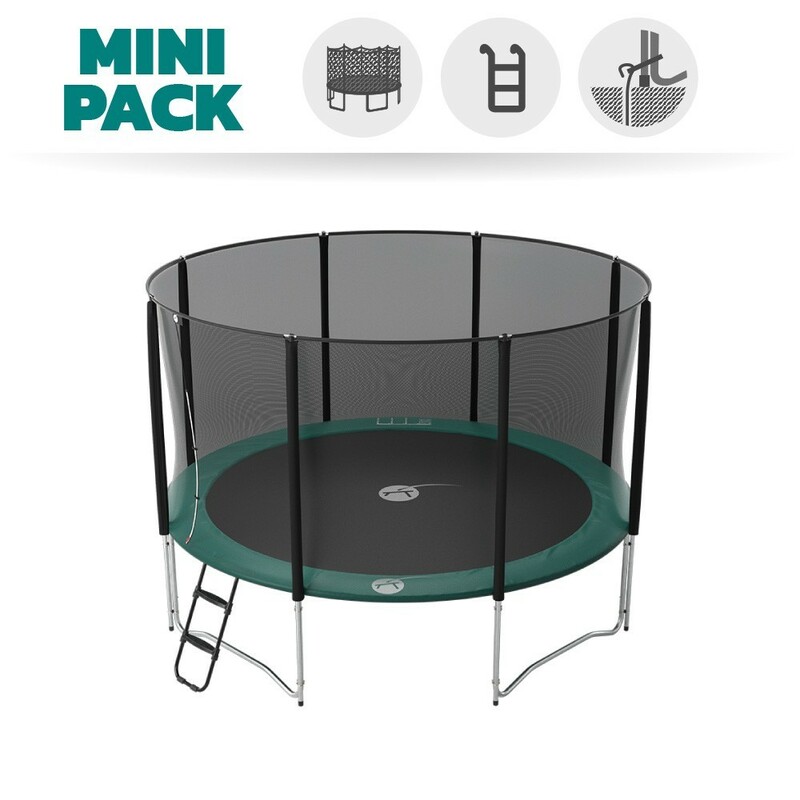 - The trampoline structure is made with hot-dip galvanized 42 mm wide steel tubes. 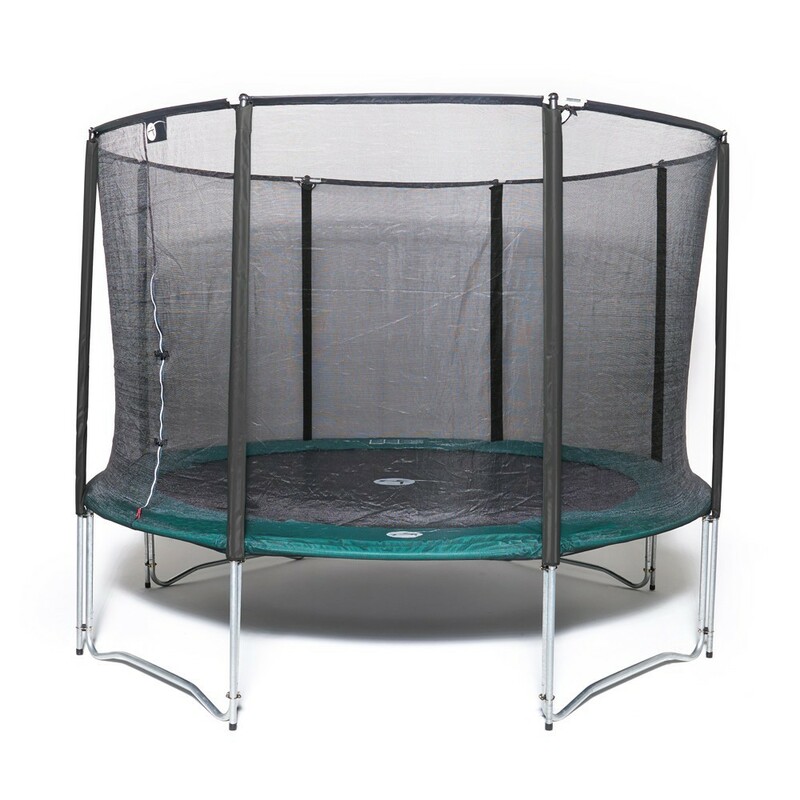 The trampoline is therefore rust resistant. 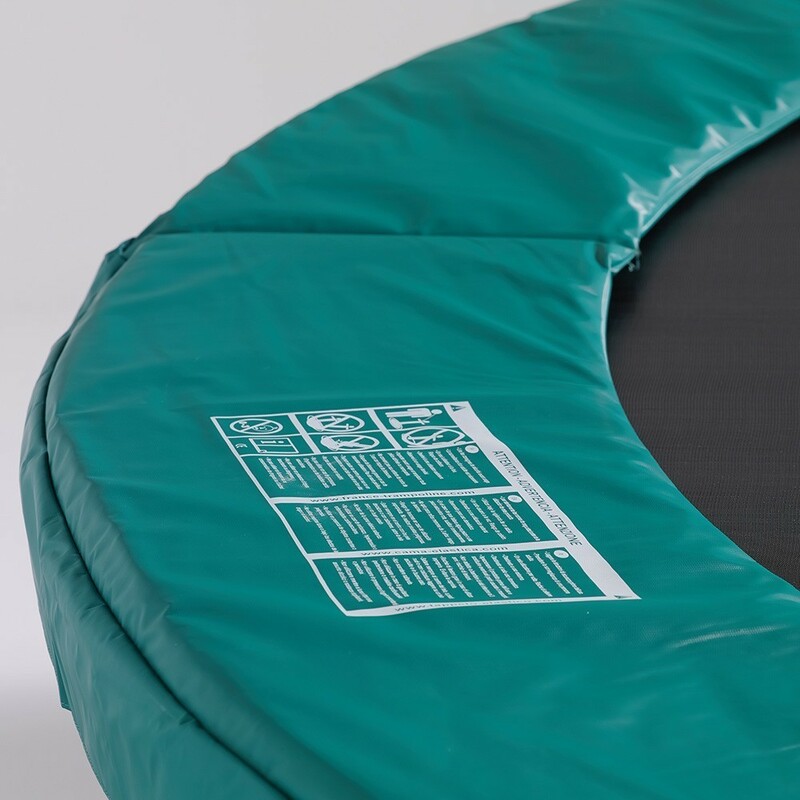 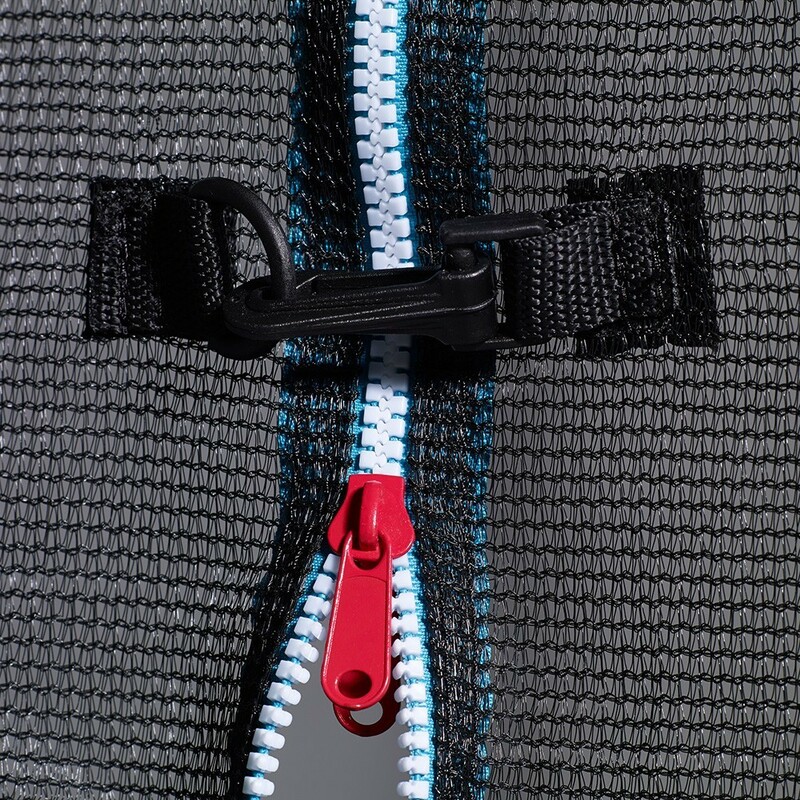 - The jumping mat is strengthened around its perimeter by 8 rows of stitching and a reinforcement strap. 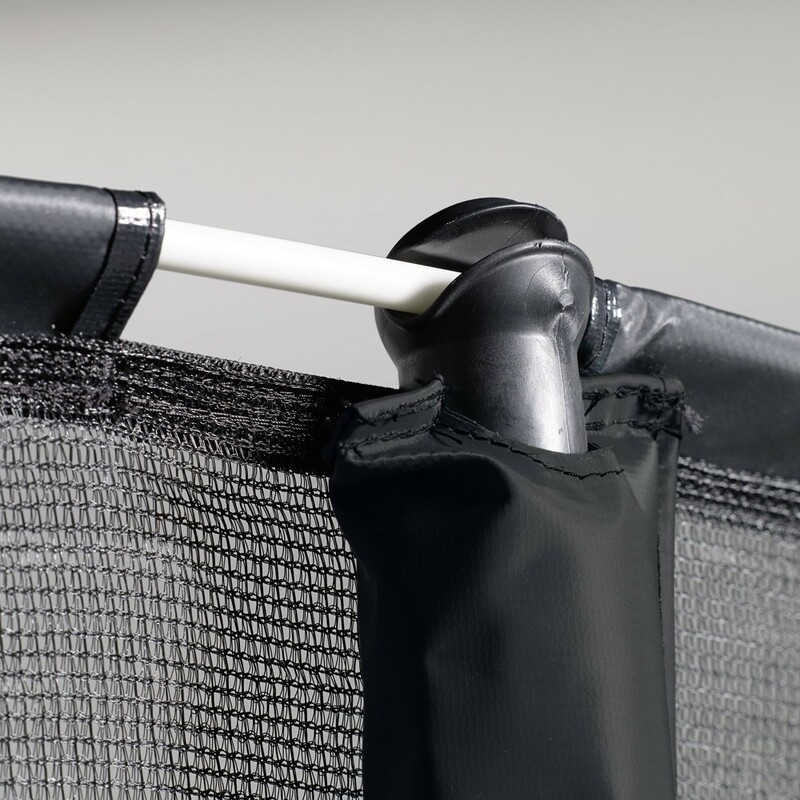 The black polypropylene mesh is also UV-light protected. 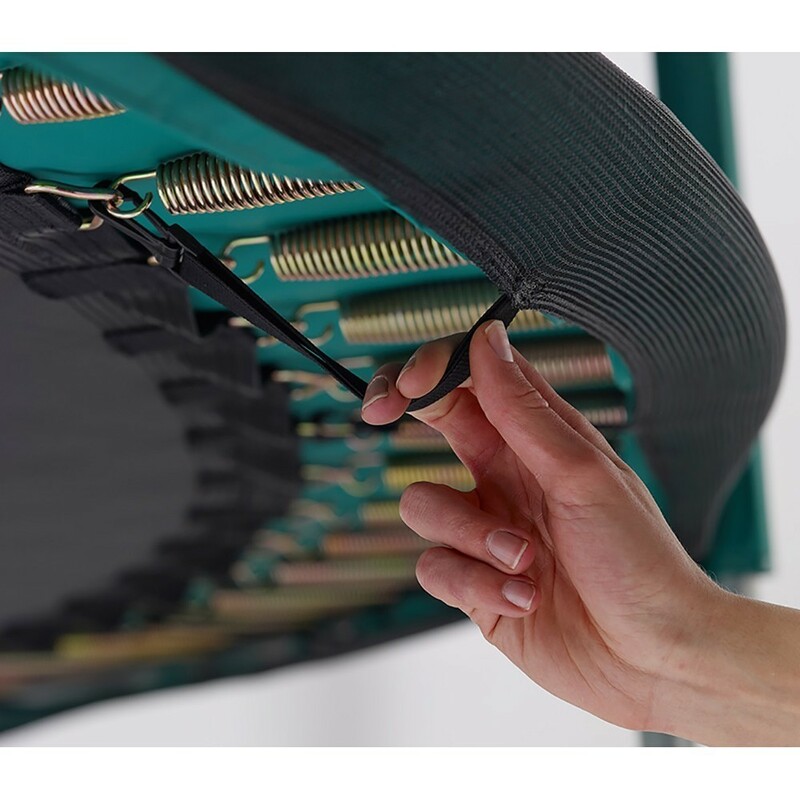 - The green 20 mm thick frame pad covers all of the spring area. 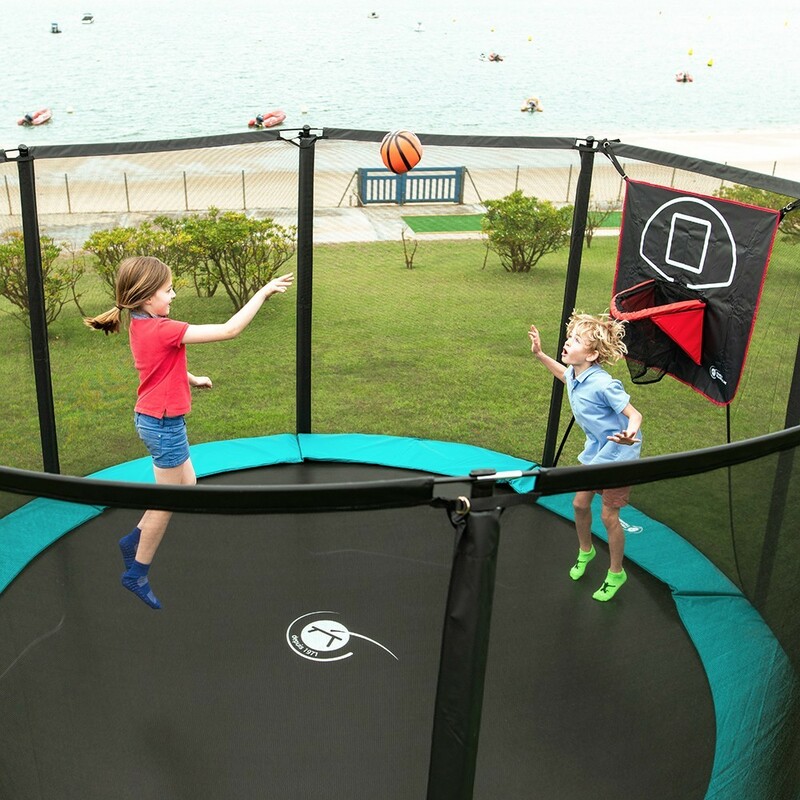 The PVC coated fabric is also UV-light protected. 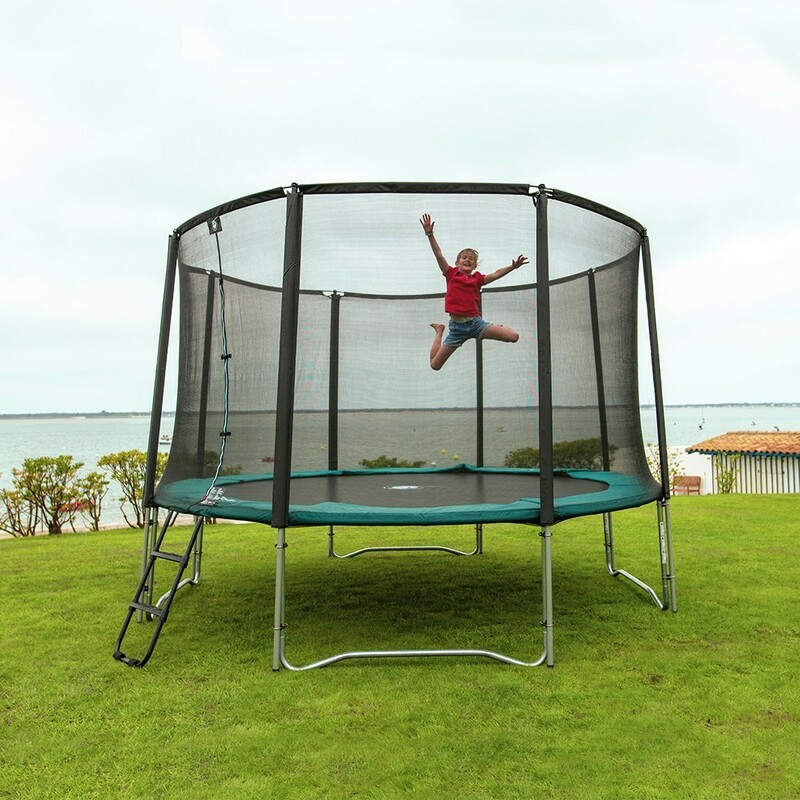 - The safety enclosure has 8 net posts that stand directly on the ground for extra stability. 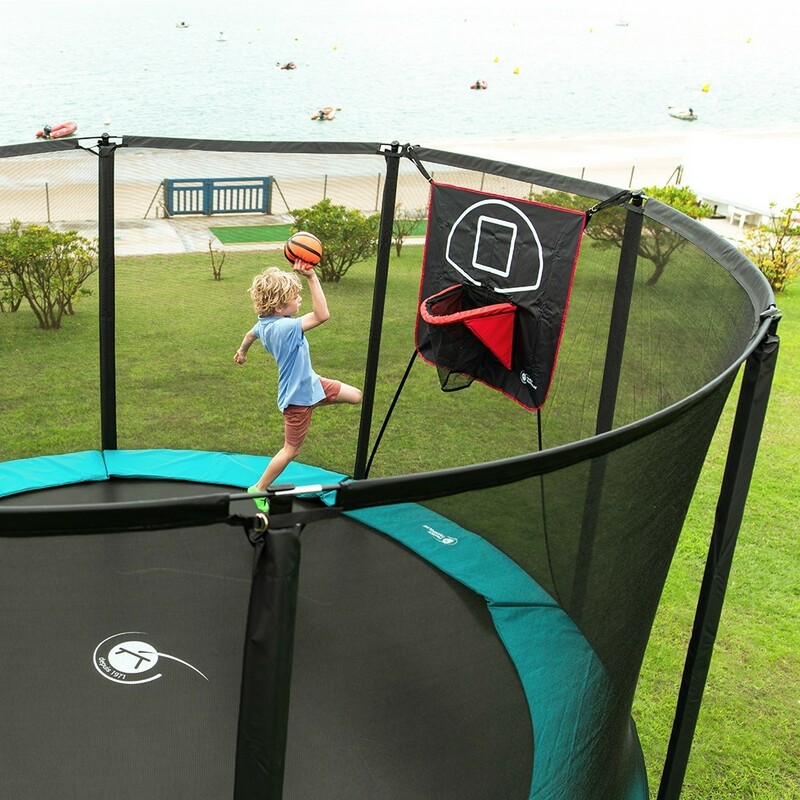 The entrance to the trampoline is opened with a zip and several hooks for extra safety. 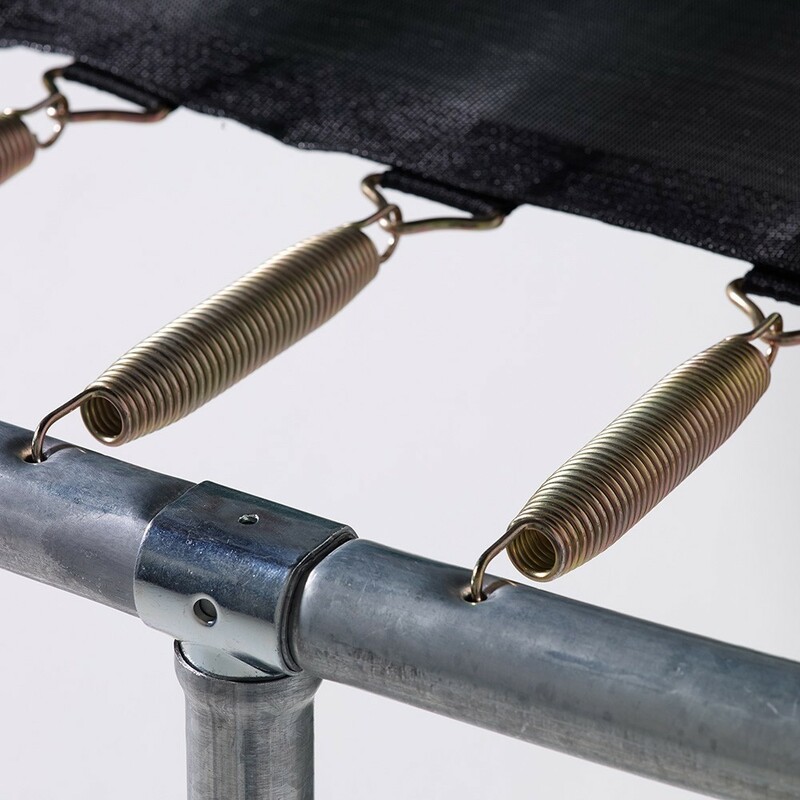 The top of the net is held in place by a fibreglass rod ensuring better tension. 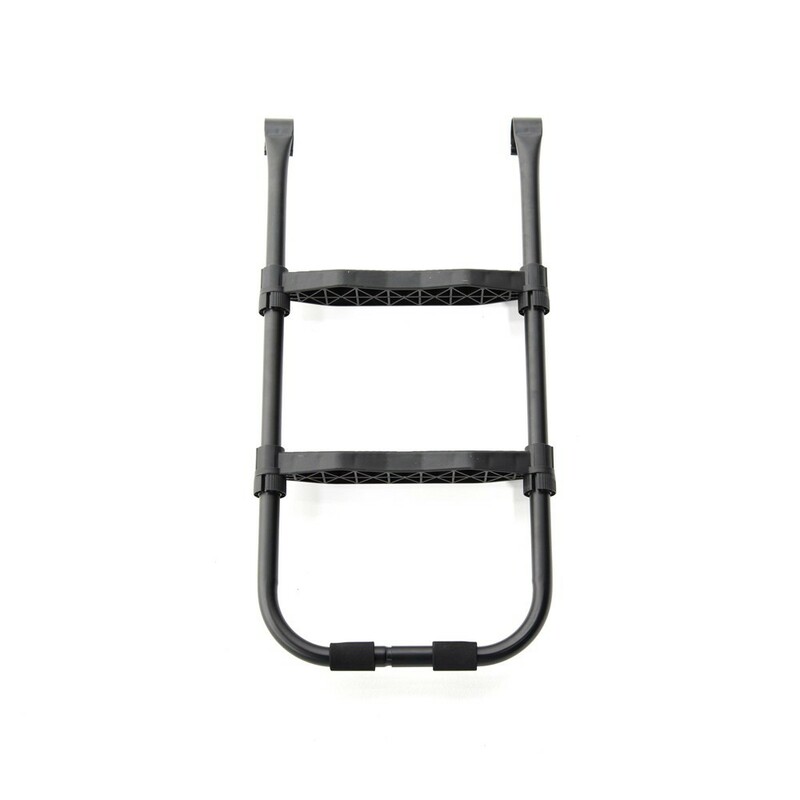 - A removable anti-slip ladder with 7.5 cm wide steps. 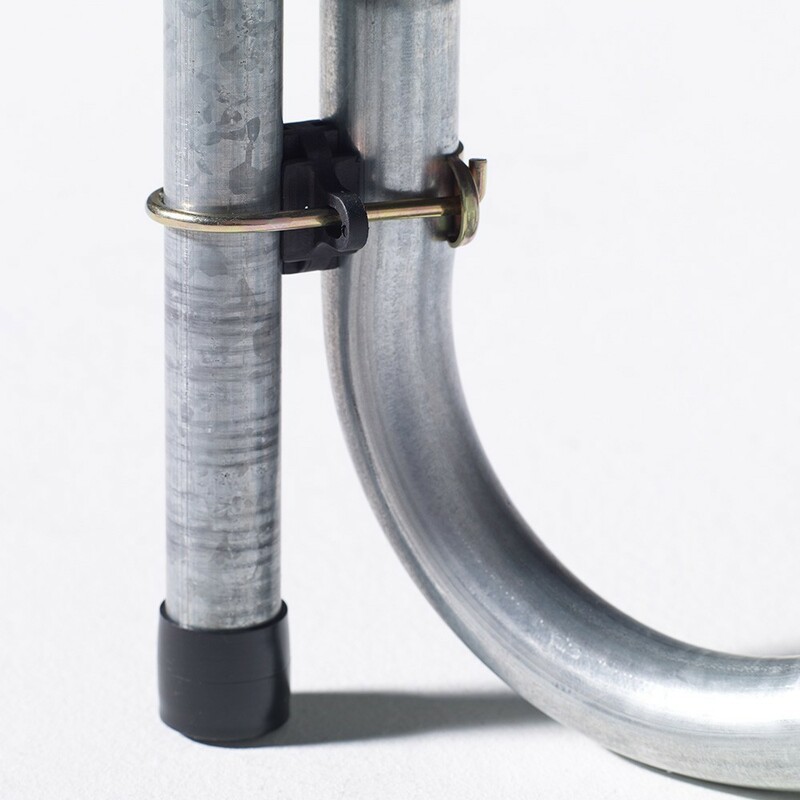 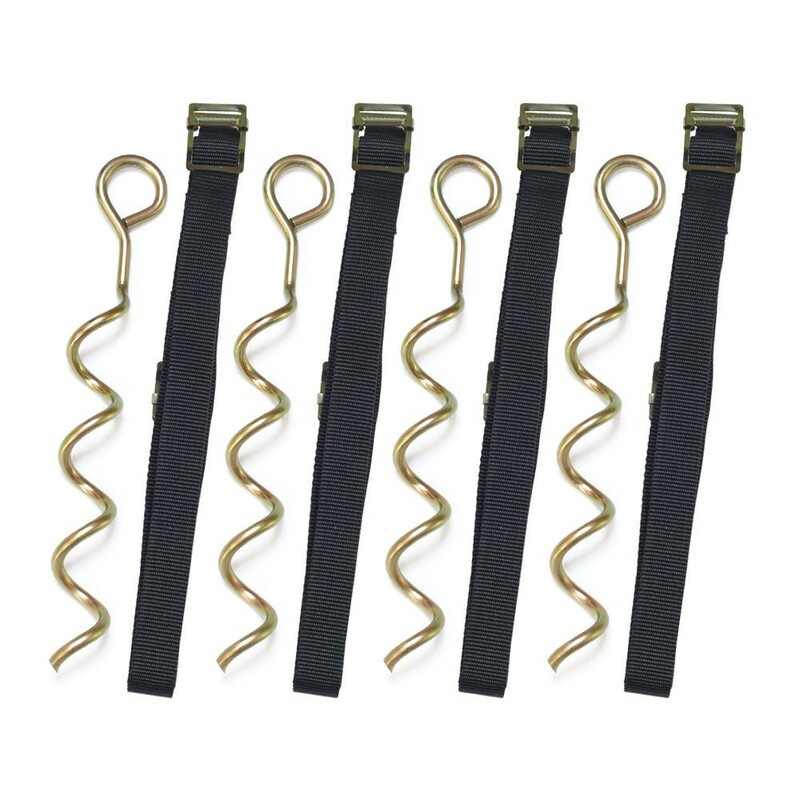 - An anchor kit provided with 4 winged screws and 4 fabric straps. 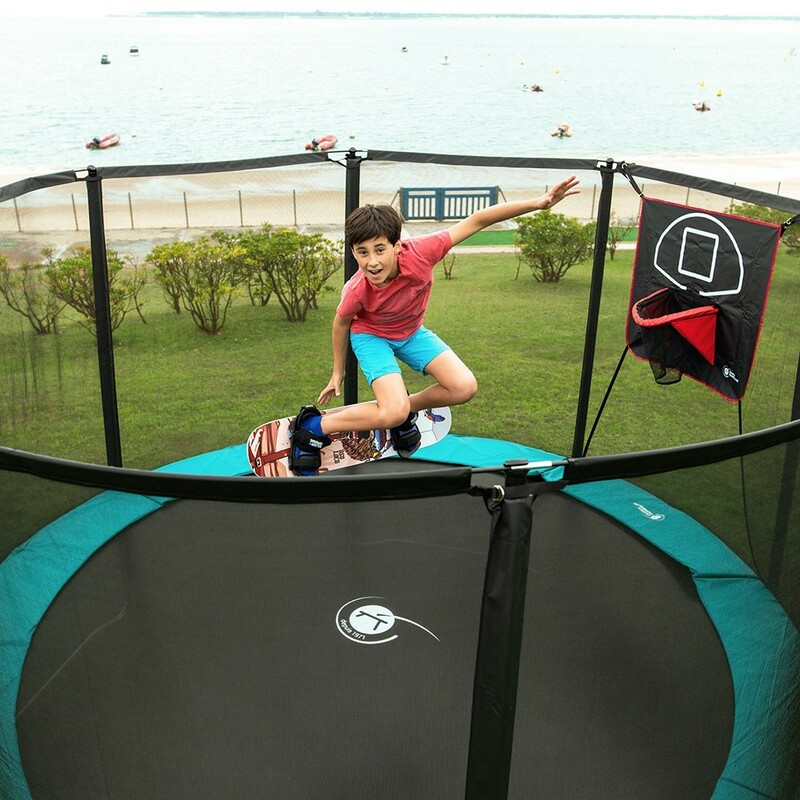 Montage assez facile .Seuls les enfants ont essayé et sont ravis.